Tired of being stuck in neutral? Rev up your workout and see new results with this selection of six training tips. When it comes to building muscle, boosting your performance, adding strength, or torching fat, staying hungry for success is key. No matter how hungry you are, however, plateaus and hurdles will rise. Whether your workout program stops yielding results or you just hit a motivational snag, the time will come when you need to push the envelope and hit some new training techniques. Don&apos;t get complacent with your workouts, personal bests, or results. Focus on progress, and keep getting better! Every training session is a chance to improve, especially if you add some new tools to your training kit. 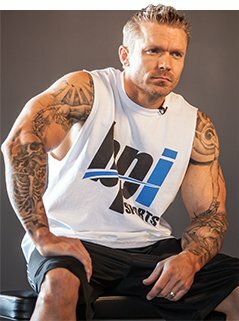 To kick things up a notch, break free of plateaus, and jumpstart your workout, check out these six cool tips and techniques. Wander into any gym and you&apos;re bound to see someone lifting at lightning speed. I&apos;m sure you&apos;ve seen a guy at your local gym blasting through biceps curls by the dumbbell rack, gunning each arm like it&apos;s a death race. Alas, many trainees make this mistake. They perform every exercise and rep as quickly as possible, using momentum to swing the weight up before letting pull it back down. When it comes to training, tempo and timing are key. Slow down your movement pattern. You don&apos;t necessarily have to use a glacial training tempo, but you should pause at the top and bottom of each rep. Keep tension on the working muscle, but don&apos;t let yourself swing the weight. Doing this will place more total stress on the muscle tissue, causing more stimulus for growth. "When it comes to training, tempo and timing are key." If you really want to spur new results, slow the down the eccentric portion of your big lifts. The eccentric portion of a repetition is the lowering phase, like lowering the weight in a biceps curl. Slow eccentric lifting can create more mechanical muscular damage and lead to increased growth, so go slow when you want to grow! If you&apos;re like most people trying to build muscle or cut fat, you&apos;re probably pounding calorie-boosting, muscle-building meals or eating light to ensure you come in at a calorie deficit. If you&apos;re eating the right quantity and quality of foods, you should be seeing results in either direction. But are you seeing the best results possible? If progress has slowed, try staggering your calories. Those who stagger their calories tend to see superior results over those who keep them at a baseline level throughout the week. Sure, staggering takes a bit more work on the planning front, but it&apos;s worth it, and the main recipe is pretty darn simple: Eat more on the days you train, and less on the days you don&apos;t.
If your aim is more size, a staggered calorie approach with a greater surplus on your training days will give you fuel for exercise and growth when you really need it. Likewise, if you&apos;re dieting, taking a larger deficit on non-training days and eating closer to maintenance on workout days will keep you better fueled for intense training and help prevent a metabolic crash due to constant low-calorie intake. "Find that next level, discover what it feels like, and then raise your expectations of what you need to do to create change." BPI Vice President James Grage rebuilt a competition-worthy physique after surviving a brutal car crash. Once he recreated his foundation, he found a workout buddy with more experience to take kick his results up a notch. "To take your training to the next level, you have to know what the next level is," he says. "You may think that you&apos;re giving it 100 percent, but what are you basing that on?" James asks. "Do you really know what you&apos;re capable of? You won&apos;t know until you push yourself beyond what you&apos;re familiar or comfortable with." Train with someone who trains harder than you. Find that next level, discover what it feels like, and then raise your expectations of what you need to do to create change. You&apos;ve probably read diet advice that says moderate-to-high carbs, moderate protein, and lower fat intake is best for muscle-building success. But, have you ever tried something else? While a higher carb intake works for some people hungry for weight gain, others see even better results when they boost their fat intake and keep carbs down. In short, don&apos;t chain your diet to one specific macro ratio without engaging in some personal exploration. Once you&apos;ve mastered calorie management, try shuffling your macronutrients around. Play around with your different macronutrient percentages to find what works best for your body. Different ratios might boost your results and help you feel better on a day-to-day basis. Weight machines are great for specific applications and overall exercise variety. With many machines, you don&apos;t have to worry as much about technique or form, but if you&apos;re really looking to advance, free weights are essential. Using dumbbells and barbells requires more total muscle activation because you need to stabilize yourself through each lift. That same required stabilization will help strengthen your core and various accessory muscles. 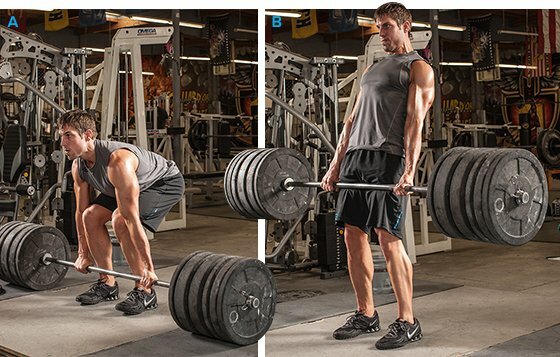 If you really need to supercharge a single training session, combine intensity and volume for one heavy, high-rep set. Unlike other sets, where you goal is to move through each reps before resting, this protocol calls for you to take a brief 10-second pause between each rep you perform. Doing this will allow you to move into a higher rep range per set while using a heavier weight. Using this technique, you can train your body to better tolerate fatigue while lifting a near-maximal load. You&apos;ll start developing a higher level of muscle strength than you previously thought possible, and you&apos;ll create more muscular damage and metabolic stress. Guess what those cause? More growth.